Open House is an event that gathers more than 35 cities of the world. Every year, on a weekend, in a careful selection of the city’s buildings, their stories and authors are unveiled, with guided tours and without prior appointment. 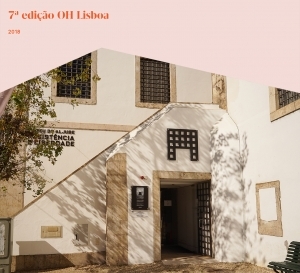 This year, on September 22 and 23, we will see the city through the eyes of the architect, critic and Professor Luís Santiago Batista and the curator Maria Rita Pais, in an event that gathers the Triennale of Lisbon and EGEAC. In the Aljube, the days will be spent with free visits to the permanent and temporary exhibitions (10h00 – 18h00), the building that was restored to become the Museum in 2015, and discovering its underground galleries with the performance Excavation, by Sofia Ó.